Paradise EOPM is provided for you and if you think it can be optimized such as adding the dynamics etc, welcome to provide us with the more perfect Paradise EOP and EOPM! Paradise is a song by British alternative rock band Coldplay. 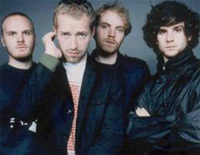 The song was released on 12 September 2011 as the second single from their fifth studio album, Mylo Xyloto. The song received its radio debut at 7:50 a.m. on The Chris Moyles Show (BBC Radio 1) on 12 September 2011.